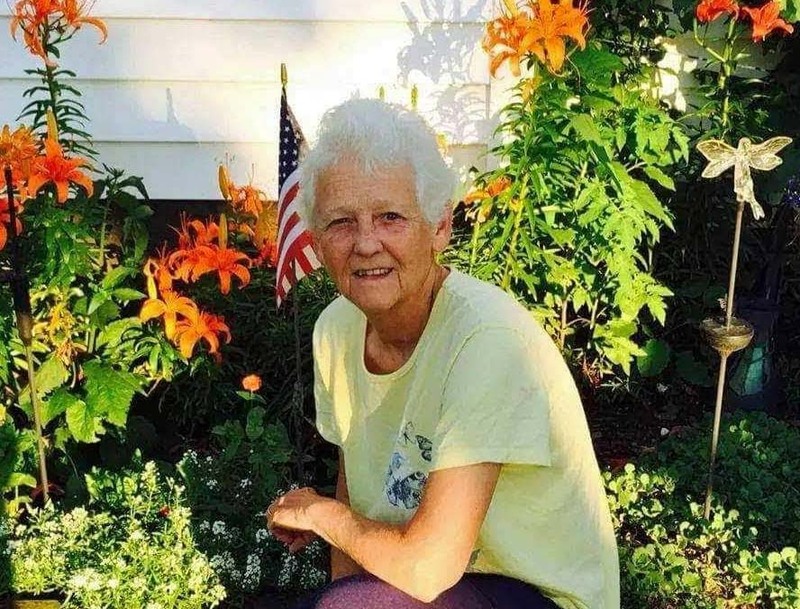 Dorotha Kay Patterson, 73, of Falconer passed away peacefully Saturday (Jan. 19, 2019) in her home surrounded by her loving family. Kay was born July 14, 1945, in Parkersburg, W.V., the daughter of the late Gilbert and Virginia Jenkins Merrill. Kay and her husband Frank moved from Parkersburg, WV to Falconer in 1968. With no family in the Falconer area the Patterson’s were welcomed in the community by Robert and Bea Eccles, Tom and Grace Garvey, Tom and Mary Mistretta, Bill and Maria Thomas and Larry and Martha Armstrong. The Patterson family would like to thank those families for all their love and support over the years. In earlier years Kay was employed by Falconer Plate Glass, Davidson Restaurant in Falconer serving as assistant manager and owned and operated Kay’s Produce. For most of her life she was a dedicated homemaker and Mom to all that knew her. Kay along with her husband Frank were very involved with their four daughters while they were growing up. Kay was a member of the Falconer Girls Softball Program, Girls Babe Ruth Association and Falconer Midget Football Program. She was known to video tape games and her tapes were often used as a coaching tool for game planning. She coached girls’ softball for several years. She was a classic bowler having played in leagues at Fountain Bowl and Ten Pins Bowling. She was an avid gardener and loved nature. Kay had a green thumb and enjoyed growing produce and flowers and sharing them with her family and friends. She enjoyed cooking and was known to always have a plate of food ready for whom ever walked through her door as well as a lending ear for anyone who needed to talk. Kay enjoyed traveling with her family to watch her grandchildren’s sporting events and ring her cowbell. She also enjoyed playing bingo and riding the bingo bus (she loves you more) and camping at Deer Meadow Campground. Surviving are her husband Frank N. Patterson whom she married August 25, 1964, in Parkersburg, W.V. ; four daughters: Tammy (Eric) Yager of Falconer, Billie (Jason) Lynn of Falconer, Tanya (Carl) Destro of Kennedy, Kim Patterson (Adam Wilcox) of Falconer; nine grandchildren: Garrett Yager, Brenton Yager, Hunter Wilcox, Ryann Kay Wilcox, Ethan Destro, Lauralin Destro, Hallie Destro, Kayla Jo Lynn, Autumn Lynn; her brother Roger Merrill of Belpre, Ohio; her sister Betty Skidmore of Parkersburg, W.V. ; her beloved pets: dog, Lucky and cat, Patch. Besides her parents she was preceded in death by two brothers: Robert and Harold Merrill and her sister Barbara Stoke. The family will receive friends from 6-8 p.m. Thursday in the Falconer Funeral Home. In lieu of flowers memorials may be donated to Hoops for Hospice c/o Chautauqua Hospice and Palliative Care, 20 W. Fairmount Ave., Lakewood, NY 14750. February 13, 2019 will be the 9th Annual Hoops for Hospice game hosted by the Falconer Lady Falcons basketball team and will played in memory of Kay and for other families that have benefited through the Hospice program; Chautauqua Humane Society or a charity of one’s choice. Visit our website at www.falconerfuneralhome.net to send a message of condolence.